If you’ve read our post about what 2D CAD can’t do you may be thinking there’s plenty that 3D also can’t do. With that being said, there are a lot of misconceptions about 3D CAD, some of these “myths” can stop organisations adopting 3D Design Tools and ultimately hold you back from growing. Sure, when migrating from one system to another there will be hurdles such as downtime, initial cost and training. However if we were to look beyond the short-term, 3D CAD can make organisations much more nimble and competitive. 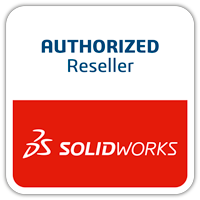 After all SOLIDWORKS has over 300,000,00 + users so you can bet someone you know is using it. If you’re worried about making the switch from 2D to 3D if you would like the best practices, then contact our support team to ensure the switch happens the best it can. Let’s have a look at the most common Myths about 3D CAD and bust the misconceptions behind them. Moving from 2D to 3D is not without its challenges, however, once implemented users will quickly realise that designing products in 3D from the start is naturally more intuitive. After all, we live in a 3D world, not a flat 2D one. That said; cultural push-back to learning 3D is common. We recognise this and have created tutorials and tools designed specifically to ease the transition for engineers and designers accustomed to designing in 2D. 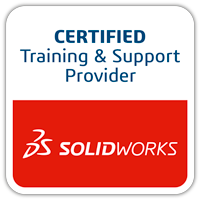 To see the courses we run have look at our SOLIDWORKS Training page. After a 4 days SOLIDWORKS Essential course you’ll be able to design parts and assemblies and make drawings of everything you’ve made. Most SOLIDWORKS designs start off with 2D drawings, so any 2D skills you have you can transfer to SOLIDWORKS and build on. 3D CAD provides significant advantages and benefits that help organisations hoping to stay afloat in today’s increasingly competitive global markets, but it’s not just important for companies. Individual engineers and designers who want to maintain long-term job security must keep their skills sharp and up to date to compete for future jobs or advance within their own companies. Engineering graduates have all been trained on 3D tools, so for working engineers today, learning 3D CAD is a keep-up-or-fall-behind proposition. This is a common fear, especially among smaller companies with correspondingly small design teams. One strategy often deployed to mitigate down time is moving projects to 3D CAD in phases, while continuing to use 2D to ensure that workflows aren’t abruptly disturbed during the transition. Another method is to deploy 3D in a pilot project, one in which you can test your 3D processes and tools to identify and iron out problems before it’s rolled out company wide. Typically, these pilot projects involve a new product that is self-contained so it does not interfere with other ongoing work. Once a 3D CAD implementation is started—either through a phased or pilot project approach—the best way to assure a smooth transition to 3D is to make sure that all engineers are trained adequately, identify and promote best modelling practices, and provide the necessary support resources. Even the simplest of products can benefit from 3D since it benefits can be realised throughout all phases of product development. Improved design is just the tip of the iceberg. Even simple parts can be optimised through virtual testing using simulation software. And, future customer demands may require modifications or customised versions of your product, which can also be quickly generated using 3D CAD. In addition, making changes to simple parts originally created in 2D drawings is easy. Any 2D drawing can be created and re-created easily when changes are made within the 3D CAD system, actually speeding up design changes. Downstream benefits in manufacturing can also be reaped by providing machinists with more useful 3D data, with which they can measure and section parts live with the push of a button, maintaining design integrity and dimensional accuracy. We get it. You are sitting on a treasure trove of legacy 2D data that took years of hard work to accumulate. You can’t afford to start over. Good news: you don’t have to. You can leverage existing 2D drawings to create 3D models. SOLIDWORKS enables users to import 2D data in DXF and DWG formats as well as AutoCAD Blocks to quickly create 3D models directly from 2D data. Other helpful conversion tools include a Design Clipart tool that allows you to drag and drop drawing views from DWG files into 3D SOLIDWORKS models, and another called View Folding that helps automate the creation of a 3D model by manipulating the views of an imported 2D drawing. There may be a case, however, for leaving some legacy data in 2D. If you just need to print and view those 2D drawings, you can use a low-cost or free app to do so. Many 3D vendors now include a free 2D product, such as DraftSight, that you can use to access and work with legacy data. Most manufacturers today continue use a combination of 2D and 3D CAD tools for myriad reasons. For some tasks, such as machine layout, schematics, and concept design, 2D tools may still work better for you. Some legacy drawings won’t warrant converting and you still might need to deliver 2D drawings to suppliers or customers. Most 3D CAD systems enable you to easily output drawings, images and other types of required documentation in a multitude of 2D formats to share with supply chain partners or customers. 3D CAD software isn’t cheap, but its ability to help companies increase productivity, improve communication, boost product quality, and speed time to market legitimises and validates the initial investment. But don’t take my word for it; do your own homework and calculate your expected Return on Investment (ROI) by using Total Cost of Ownership (TCO) to compare costs, including hardware, maintenance, upgrades, support and training. Keep in mind that it’s not just the 3D CAD software that delivers cost-justifying benefits, but also the ancillary tools that enable designers to optimise products through simulation, evaluate the manufacturability of products, collaborate with design teams, and share valuable design data to downstream consumers of digital data that can deliver the most significant bang for the buck. If this article didn’t dispel any issues you have with 3D CAD or you would like to see how SOLIDWORKS can benefit your organisation and how CCSL can work with you, Request a Demo and we’ll show you. If you’re worried about Data Migration you can Download this Best Practices Whitepaper to ensure your success. This entry was posted in CCSL Blogs and tagged Myths, Myths about 3D CAD, SOLIDWORKS, SOLIDWORKS 3D CAD, SOLIDWORKS Myths.